Ensure Efficient Cooling Within an Affordable Budget? An inverter is a device that is used for converting low-voltage DC current into AC current which is normally used within homes, shops or offices. An inverter is highly useful for operating a wide range of household appliances and electrical equipment using the power produced by an automobile or boat battery. It can also utilize renewable sources of energy like solar panels and wind turbines. A solar inverter is used for converting variable direct current(DC) output from a photovoltaic solar panel into current(AC) thereby providing you with ample power. During daytime, the battery charges itself through the use of solar energy and once it gets charged to a particular level, the stored energy is used in order to provide electricity. As in the case of any other solar product, solar inverters come with an advantage over other inverters as they can be easily installed and use a renewable source of energy in order to convert to electricity. 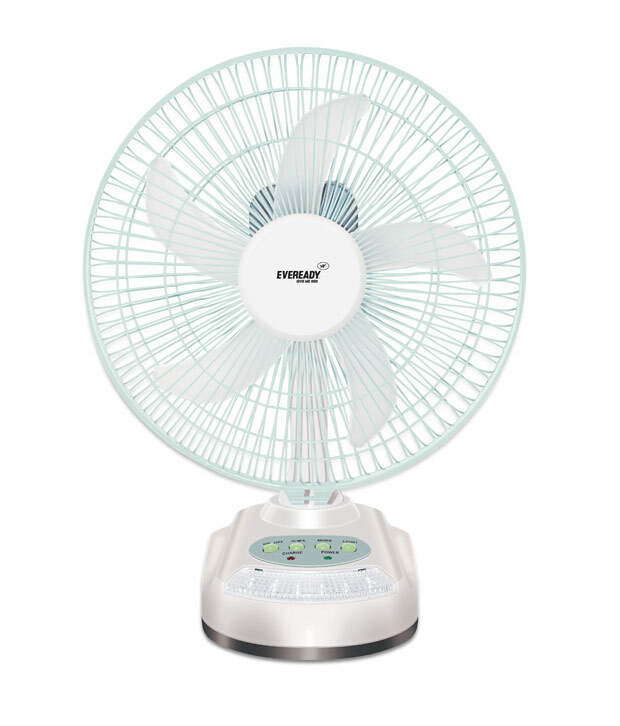 Table fans are best suited for use in small rooms that are very warm. The smaller ones are best suited for personal use, be it for relaxing or working while sitting in a desk. 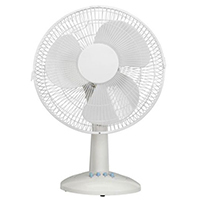 Table fans of larger size can be positioned anywhere, to cool a room, dry hung laundry within a short span of time, or ensure a good circulation of air in the basement area. It is always wise to go for table fans that come with multiple speed settings, tilt adjustment and safety grill guards to ensure optimum finger protection when it is used in play areas. There are some blade-less table fans that can also be used as heaters. Orient table fans are equipped with high performance motors which offer a high quality of service even under low voltage conditions. One of the most common types of fans that are used in homes, offices and commercial establishments, ceiling fans are best suited for use to keep the summer heat at bay. In areas that have a temperate climate, multi-speed ceilings fans can be used as a suitable replacement for ACs. Majority of the ceiling fan models available in the market can be reversed during winters in order to push down the warm air which rise naturally towards the ceiling. The size of the room decides the length and number of blades that a high sped needs to offer the best quality of air circulation. To ensure a safe installation within rooms, it is better to take the help of an electrician. Crompton Greaves fans come with different types of blades and colors, and go well with the lightings inside rooms. with lights have also been launched in the market in recent years. Cooling fans are highly portable and are suitable for both indoor as well as outdoor use. They come with rechargeable batteries and usually have three speed settings. 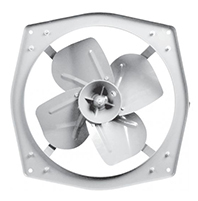 These fans are widely used in kitchens, bathrooms, counters, computer rooms etc. They offer well balanced air to different parts of the room and are weightless. 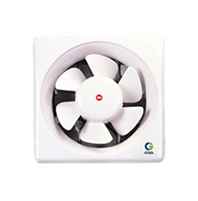 The latest range of cooling fans that have come up in the market come with noise free motors. 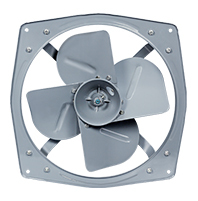 Ventilation fans are normally used for ventilating stores, offices, factories and shops. These fans are best suited for mounting on glass windows and are produced from high quality engineering plastic and are resistant to color change because of their anti-static properties. Exhaust fans are used in kitchens in order to ensure the circulation of clean air, remove smoke and excessive heat. These fans also play an instrumental role in checking smell and the rise of temperature. These fans operate by using power. The operating procedure involves the use of an electric current that passes through the fan’s motor and causes the blades of the fan to rotate. Blades can be chosen according to the exact area where you will be installing a . The rule of thumb that you should follow is to determine the blade span on the basis of the room square feet. If the fan that you opt for comes with three blades, then you should measure the distance of the fan’s center from the blade tip. On the other hand, it has two or four blades, then you will need to measure the distance between the opposing blades. You will need to opt for a blade span depending on the size of the room. For instance, if the size of your room is 400 sq. 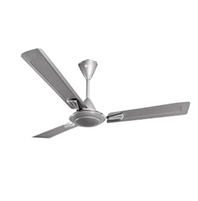 feet, then you will need to opt for fans that come with a blade span of 54-72’’. Once you have a clear idea of the blade span, you will need to decide the exact height at which the fan will have to be installed. If the ceiling height is less than 8’’, then you will need to go for a low profile ceiling fan. If it is more than 9’’, then it would be wise on your part to go for a ceiling fan that comes with a down rod. Hanging it at a proper height will ensure that neither you nor your family members suffer from any type of head injuries. While buying exhaust fans for installation within kitchens, you will need to vent the hood outdoors when necessary so that the smoke and odors can easily move out from the kitchen. This is the most suitable way to ensure the removal of minute particulate matter. One major problem with recirculating fans is that though they can remove odors and particulate matters, they often recirculate them back into homes. Another suitable alternative that you can go for is to select a range hood keeping in mind its suitability with the exhaust fan and your cooking style. For normal cooking equipment (below 60,000 Btu for gas/electric cooktops), 100 CFM is suitable for every 1-foot width of your cooking surface. If you are using high-performance cooking equipment, then you need to go for 1 CFM for every 100 Btu. For instance, 60,000 Btu will require 600 CFM. In case your cooktop includes a grill, then an additional 200 CFM to the total that you require. On the other hand, if the hood is rated above 300 CFM, then you may need to use a make-up air damper depending on local codes. While buying table fans, you will need to pay attention to the material from which the fans are made. Plastic fans are most suitable as they do not rust unlike the ones that are made from stainless steel. Oscillating and rotating fans may develop vibrating noises and rattles over a period of time over a period of a few months. One possible solution to the problem is to opt for two or more table fans. You can use oscillating fans while oscillation is switched off and otherwise leave it as it is, for use on specific occasions. Table fans come with a wide range of designs such as tiltable, antique, squat fat etc. The position, size, and speed of the blade are deciding factors of the effectivity with which a fan rotates and the quality of cooling it offers within a room. 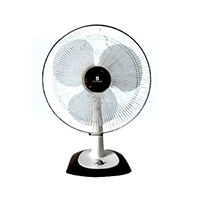 The blades of non-axial fans usually face in the direction of the airflow. The axial-flow design is used is used in some of the most widely used types of fans such as pedestal, ceiling and table fans. Centrifugal fans come with blades that are perpendicular to the direction of the air flow. Centrifugal fans come with a high pressure which makes them best suited for use in industrial cooling and moisture removal. The efficiency of an inverter to a great extent depends on the amount of power that it draws. The power drawing capacity of an inverter may vary between 90-50% from full load to light load. One thing that you need to find out is whether the efficiency of the inverter is high on maximum load or not. Normally, an inverter offers the highest level of efficiency when it is used at around 1/3 to 3/4 of its full rating. Small inverters that are used in vehicles can run indefinitely as long as the vehicle’s engine is running and there is sufficient battery power. Larger inverters, on the other hand, can offer power over extended time periods. All that you need to do is to add more batteries. The power of fans is to a great extent decided by their speed settings and unit size. Higher speed settings ensure a cooler temperature within rooms and provide the user with a higher level of control. Bigger fans on the other hand can cover large areas. are motor drive. 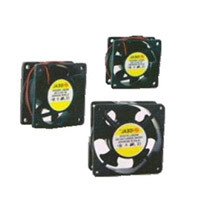 Therefore, you will need to verify the size and power of the motor before buying a fan. Normally, you would expect your fan to be completely silent when it is under use. However, it is often not the case. As a rule of thumb, the higher the price of a fan, the lesser will be the noise that it will make. 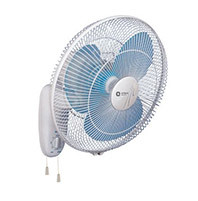 The noise level of a fan (measured in dBs) can be controlled if can control its speed. To ensure minimal noise of your fan, you will need to operate it at medium or low speed. In case you feel it essential to run the fan at the highest speed throughout the day, then you will need to opt for a bigger fan for your room. 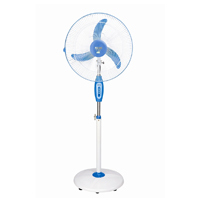 The back-and-forth motion of majority of pedestal, tower and table fans is oscillation. Apart from moving left to right, a number of these fans also have the ability to move up and down. Normally, you can control the oscillation through the use of oscillation through the use of remote control or on buttons on the fan chassis. You can also disable oscillation also in case you feel that you desire air flow to flow to a particular spot. An oscillating fan blade unit moves from side to side. Portable fans that do not come with this feature need to be repositioned in order to offer airflow to another area of the room. Slip-resistant feet, grounded cord and a ETL safety listing are some of the major safety features that a fan needs to have. Cord length tends to vary according to the model of the fan as well as its type. A few cords tend to be short while the long ones may come with a length of around nine feet. Fans that are used in offices and commercial establishments usually have long cords. If you want to post the fan close to a wall outlet, then the cord length won’t prove to be good issue. On the other hand, if the selected location for the fan is not quite close enough, then length of the cord will matter, unless you decide to opt for an extension cord. Smaller fans such as desk fans sometimes come with the feature of optional battery compartment. Battery life to a great extent depends on the fan model. It may be as long as 72 hours in a single set of batteries. Keeping up with the changing times, fan manufacturers are combining the designs of fans with the functionality of radio. The fans that come with this feature can be connected with the user’s MP3 player which will enable the person to listen to music from the radio speakers of the fan while enjoying the flow of cool air through the different parts of the room. Fans that are mostly used in commercial establishments come with in-built outlets which enables the user to connect it with a number of appliances. In the case the area where the fan is used requires the need for highly targeted airflow, then these in-built outlets will ensure that there is no necessity for multiple extension cords or outlets. However, you will need to ensure that there are not too many fans that are connected with each other so as to overload the room’s outlet capacity. Remote controls and programmable times are the normal types of equipment that are used in residential fans that are used in homes. Using a remote, you can easily control the speed and direction of airflow from any direction. You can easily adjust the airflow by changing conditions with the help of a remote. By pre-setting the operating cycle of a timer, you can preset the operating cycle for quite a few hours and turn off your fan once the cycle gets over. It will provide you with the much needed peace of mind, you won’t have to overspend on your energy bills. This feature is applicable in case of tower fans which come with in-built ionizers that are highly effective in cleaning air and doing away static electricity. The machine emits negative ions which will attach themselves to microscopic particles and allergens. Ionizers filter them before the re-circulation of air. The blades of fans are made from a wide range of materials and come with different types of finishing. Natural wood and painted blades are normally created from solid wood, cross-laminated veneer or more affordable veneered constant-free density board. The normal finishes of fans include cherry, oak, natural, appliance white, bleached oak, burled camphor, black, rosewood, faux granite, high luster etc. Some of these blades come with a reversible finish. You can get a perfect idea of a fan’s finish by simply turning it over on the other side. It is used for measuring airflow which moves from a fan during a specific time period. You need to check the cubic feet(CFM)notation which can help you to differentiate between high output and low output fans. Revolutions per minute(RPM)is used for measuring the frequency of rotation, i.e. the number of rotations around a fixed axis in one minute. It is used for measurement of rotational speed of fans. Air Filters- Air Filters are highly effective in removing solid particulates like pollen, mould, bacteria and dust from the air. High flow air filters are known to energy friendly. They are usually made from thin materials, as in case of dust masks. They are usually made from paper, foam or cloth. Air Cleaners-Air cleaners are suitable for removing odor and gases from air within homes and offices. They come with activated carbon filters and use a process known as adsorption in order to force the gases and odors to get attached using a chemical reaction. Some of the most common gases and odors that air cleaners help in resolving include cooking odors, indoor pesticides, kitty litter, toxins and tobacco smokes. Dust Filters-A dust filter is specifically designed in order to remove particles from air. They help in checking asthma, allergies or respiratory problem to people within homes and offices. It is therefore, an important tool that can be used for maintaining air quality. Though dust filters are also used within homes, a dust filter is widely used in industrial settings. It can remove not only dust, but also ensure the presence of clean air within rooms. As a result, the working environment becomes safer and more desirable for employees to work in. It is also very useful in protecting products and equipment. Disconnect the fan and wipe the blades well and wash the safety grills with care. Follow the directions mentioned by the fan manufacturer to clean or replace filters and screens on fans. In case the fan happens to shake while being in use, and check the bolts by attaching the blades to the fan motor. Turn off the fan when you don’t need to, in order to minimize wear and tear.